If you’re new to the world of pellet smokers, smoking a cut of meat can be a little intimidating! I remember my first few cooks, and I was always so worried that everything would turn out ok. Now don’t get me wrong, no one is perfect. Every now and then I have a cook that just doesn’t turn out how I hoped. 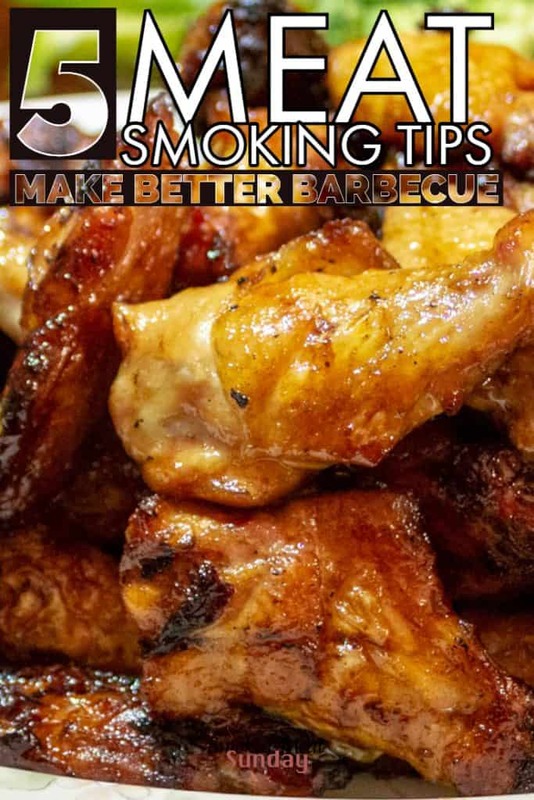 These 5 smoking meat tips will help you have more consistent success on your pellet smoker, especially if you are just getting started! Dinner is at 5 pm. It’s 4:30 pm and the internal temperature of the pork shoulder on your smoker is at 180 degrees. You crank up the temp to try and make the deadline and end up with a chewy, dry, not even close to pullable, chunk of pork. When you’re using a pellet smoker, plan ahead! Most of my low and slow cooks are at 225 degrees, and I assume the total cook time will take around 90 minutes per pound of meat. Cooking a seven-pound pork shoulder? It’s going to take about 10.5 hours. Plan ahead, and start your cook early! It’s ok if your cook finishes before dinner time. If you know you won’t have all day to cook, plan a meal that won’t take as long! Two of my favorite smoked foods are a reverse seared steak, and a smoked fatty. Both meals only take a little bit of time, and they are crowd pleasers! I’m all for a good nap, but that’s not what I’m talking about here. Part of your cook plan should include resting time. I like to let my pork shoulders and briskets rest for AT LEAST one hour. That rest can make all the difference in a quality cook. Smaller cuts of meat like steaks or chicken need to rest too, but not as long. I rest smaller cuts of meat like steaks and chicken for about ten minutes before serving. Don’t want to rest? 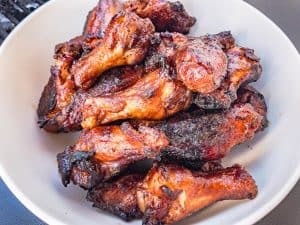 One of my go-to recipes for a party or get together is Smoked Chicken Wings. If you haven’t made chicken wings on your smoker yet you’re missing out. Smoked Chicken Wings are tender, full of flavor, and they might even be healthy. I know you want to look at the meat. Don’t. It’s still in the smoker, and it’s still cooking. Every time you open your smoker lid you’re letting valuable heat and moisture out, and changing the cooking environment dramatically. In cold weather, this tip is especially important. If you need to open the lid, make sure you have a legitimate task that needs to take place. Some lid opening tasks include checking the internal temperature of the meat or spritzing a pork shoulder with some apple juice. Guys are terrible at following directions. I can say that because I am a guy. Don’t be afraid to try new things with your smoker. 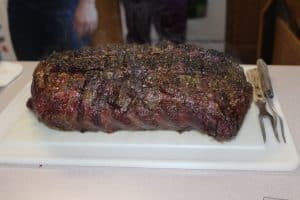 Most of the meals you can make in your oven can be cooked in your smoker. If you find a rub you really like, but wish it had a little more kick or a little more sweetness, that’s ok, add the cayenne or a little bit of brown sugar. One of the reasons I love my smoker is because it allows me to keep my creative bucket full. 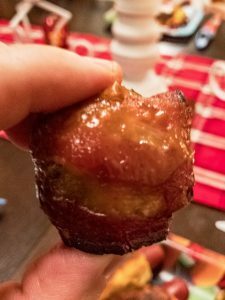 I’ve cooked so many different things on my smoker, and there are only a few things I can remember that I won’t try again (smoked watermelon). 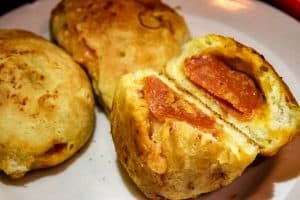 Smoked Pizza Grilled Cheese Bombs are… bomb?